Students in the political science program at St. Cloud State University learn how governments and political parties influence policies and practices around the world. You'll study the role voters, nonvoters and polling play in political and government decision-making. Through a range of core courses, you'll get a local and global perspective on government, international relations and political theory. Your internship and campus activities and organizations will give you a chance to put what you learn into practice. As a political science graduate you'll have options for work in government, law or education. Practical experience in congressional offices, political campaigns, law offices and with Minnesota legislators or various national, state, and local agencies that often leads to permanent positions. Research opportunities through SCSU Survey. Bachelor of science path for those interested in teaching. 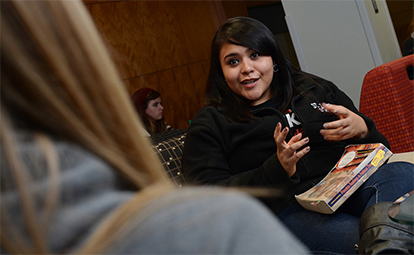 Bachelor of arts leads to law school, graduate school or public service careers. Ample campus organizations to develop leadership skills, networking and socializing. Department faculty includes three alumni of the U.S. Fulbright Scholars program, including Jason Lindsey, associate professor and department chairman, who taught at Yaroslav the Wise Law Academy of Ukraine in spring 2013. Fifty students each year work as directors or interviewers for SCSU Survey, a respected statewide polling arm of the Department of Political Science. Students develop questions, lead polling and analysis and publicize the results for about six surveys a year. Nate Silver, New York Times survey analyst and political writer, ranked the 2012 fall survey's presidential poll No. 3 for accuracy and bias control among polls that conducted fewer than five polls.